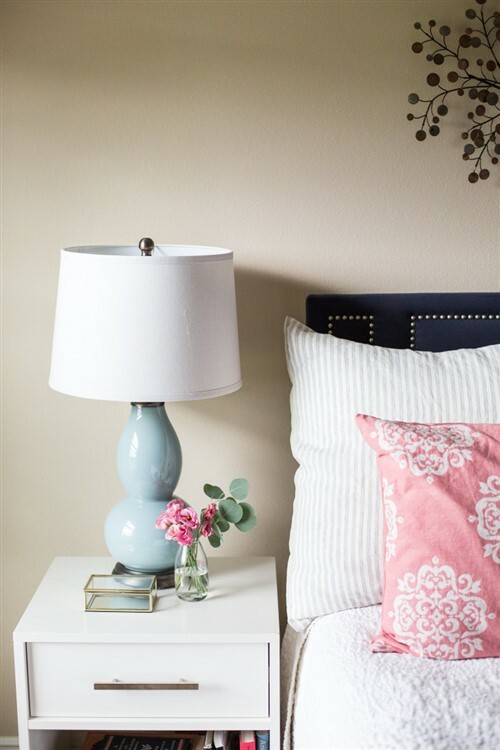 When decorating our homes, we so often focus on transforming those common spaces – entries, hallways, living rooms, family rooms – that we often forget to set aside funds for all the bedrooms! If you’ve found yourself without a bottomless pit of money, don’t despair. 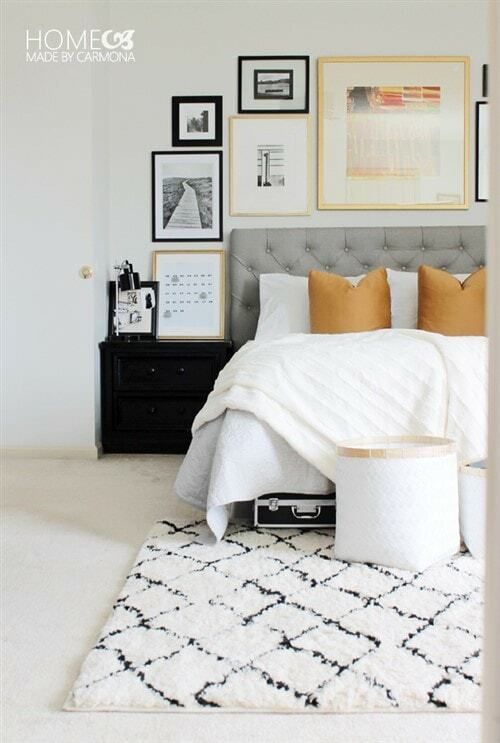 Explore this brilliant collection of budget friendly bedroom decorating ideas. 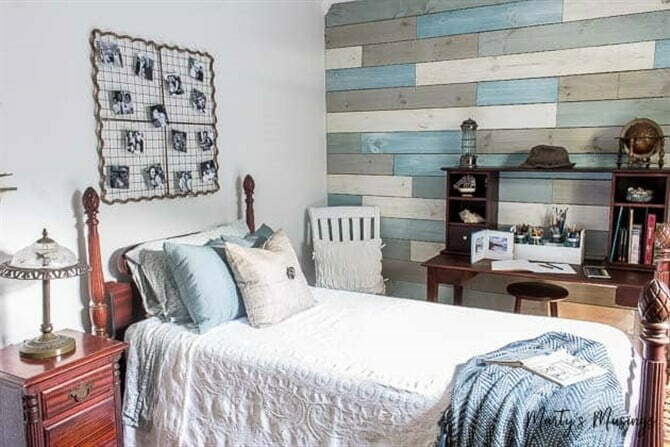 Whether you’re coupled up, footloose and fancy free or complete with a family of teenagers, children or babies you’ll find something to suit your sleep style. It’s quite extraordinary how easy it can be to adopt a sense of style without breaking the bank. 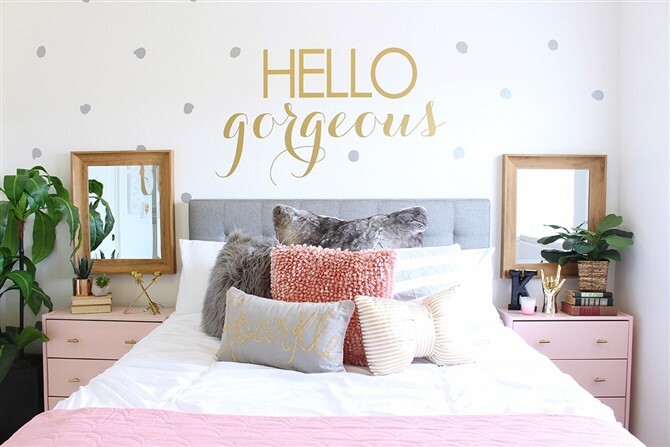 As a couple the focus is often on nurturing your relationship, so keep things simple in the bedroom by accessorising with items that have a big cuddle factor – like pillows. 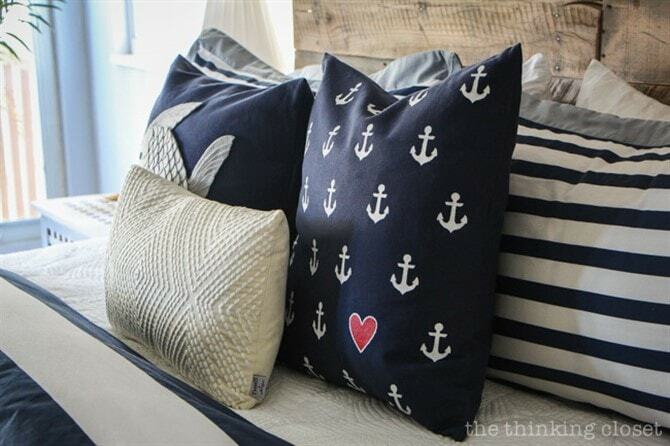 You can never have too many pillows. 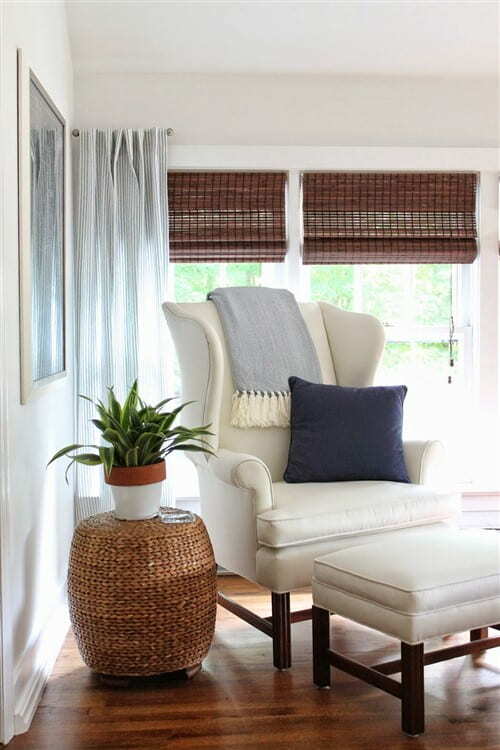 Layer them and use styles that suit your shared personalities – modern, minimalist, nautical, romantic chic, rustic chic and even super classy. 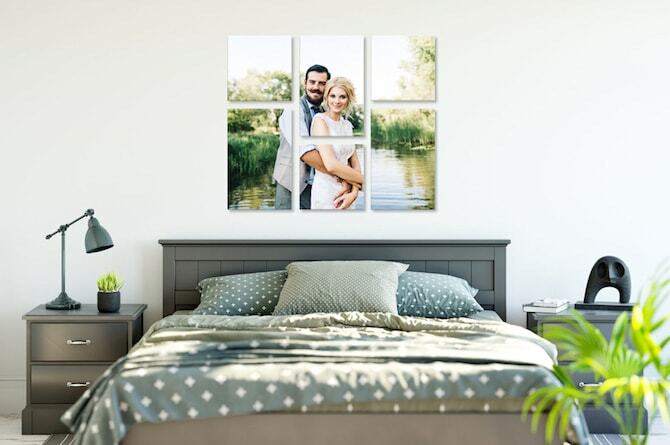 Celebrate your love by displaying a canvas photo print of your wedding day on your bedroom wall. 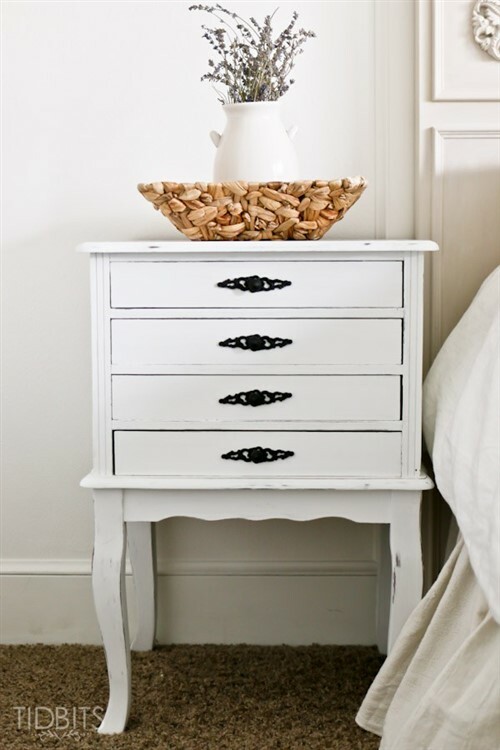 Or step up the class factor by adding a second hand or ‘vintage’ bedside table. 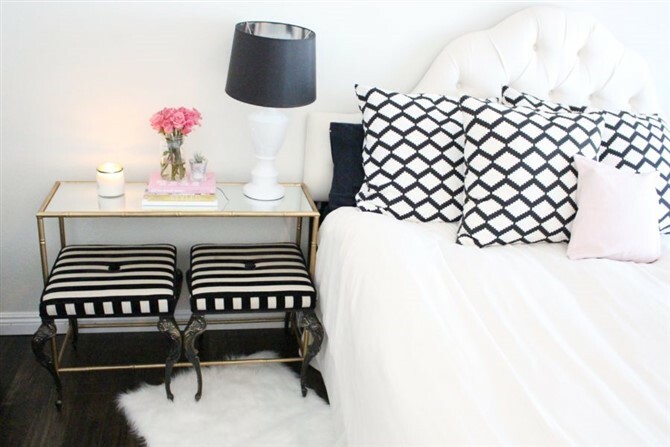 Do some DIY and paint it white for some French chic style. 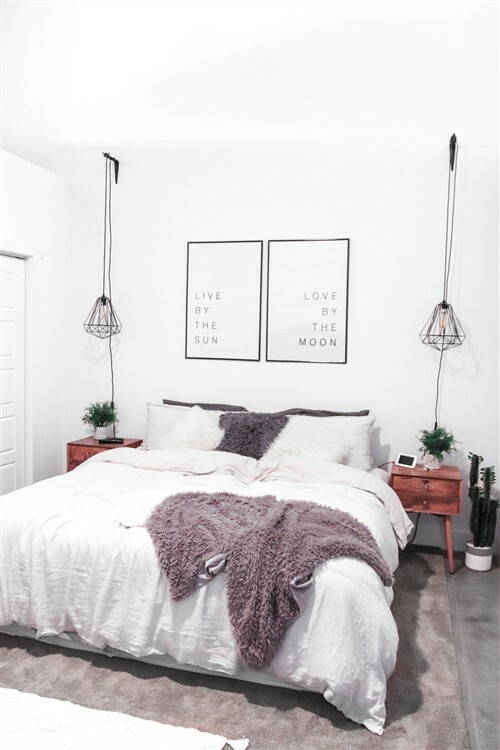 One of the best things about being single is that you don’t have to consult with anyone else on the important stuff – like how to decorate your bedroom! Whether you’re a bachelor or a bachelorette, take advantage of the freedom solo life affords and be as simple or as sassy as you like. The best thing about these ideas is that you will still have money aside for socialising and travel. 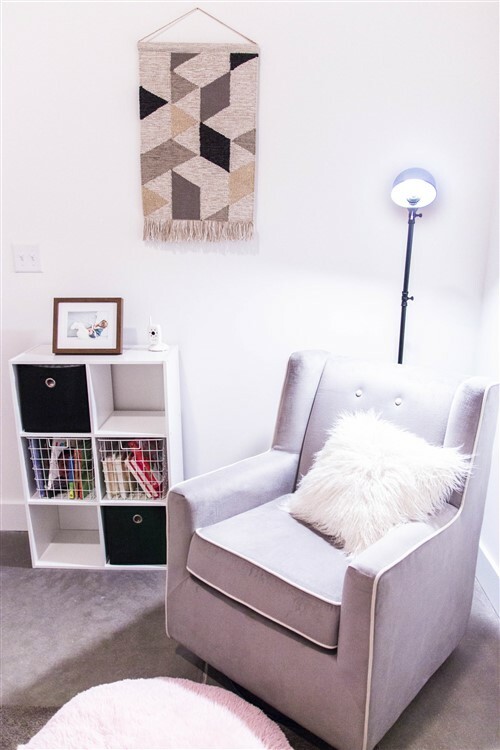 The key is keeping your space bright, happy, cool and positive so consider colours like crisp whites, greys and pastels plus plenty of textures and patterns. Is your four legged friend your best friend? 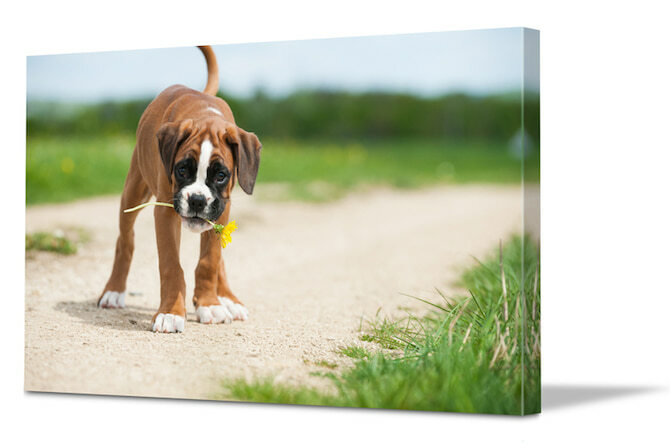 Whether they’re allowed to sleep on your bed or not, honour them with their own pet portrait. 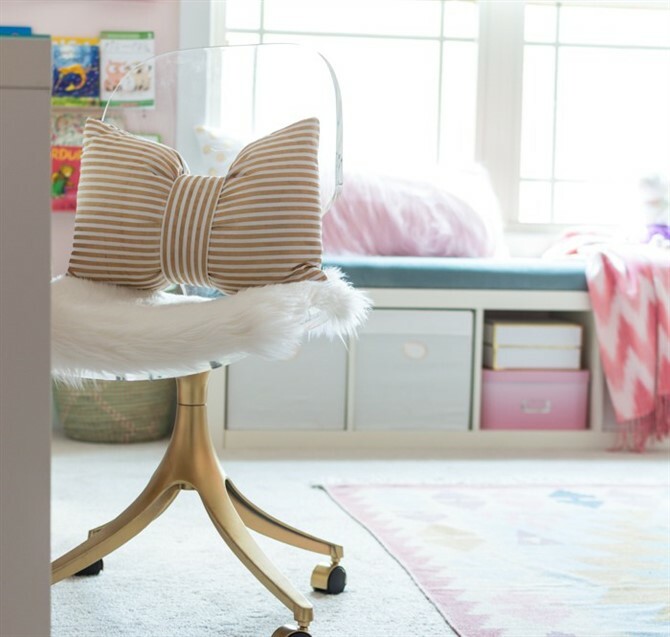 Mums and Dads, innovations in home decor are pretty much the only reason you’ll want to be a teenager again. 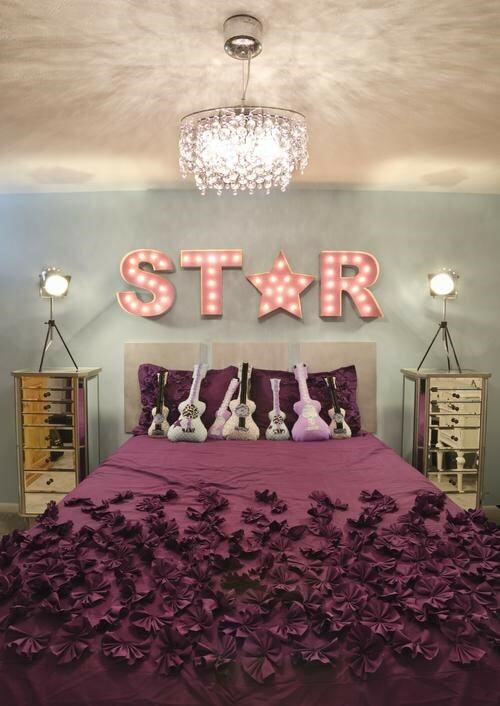 How funky are these bedroom interiors? If only we could wind back the clock and do it all over again! 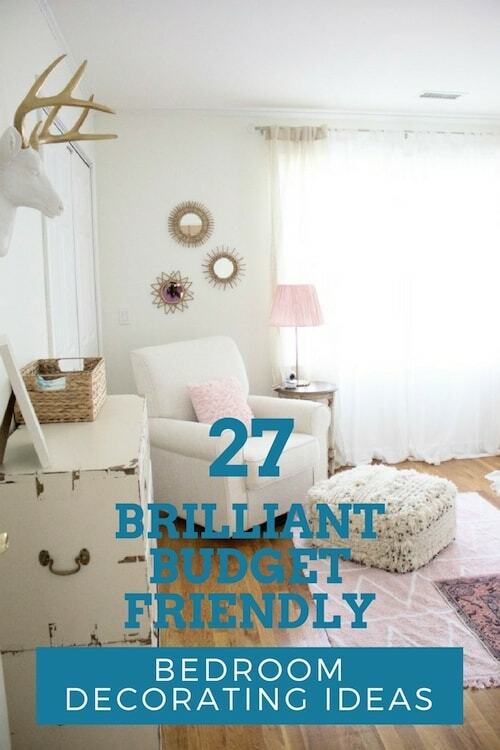 And the DIY factor means you can impress that fussy teen in your life by working together to create a space they can be proud of. Hey, it may even inspire them to keep it tidy! Explore ideas below influenced by the beach, by skateboarding, by theatre, by jewellery and by music. 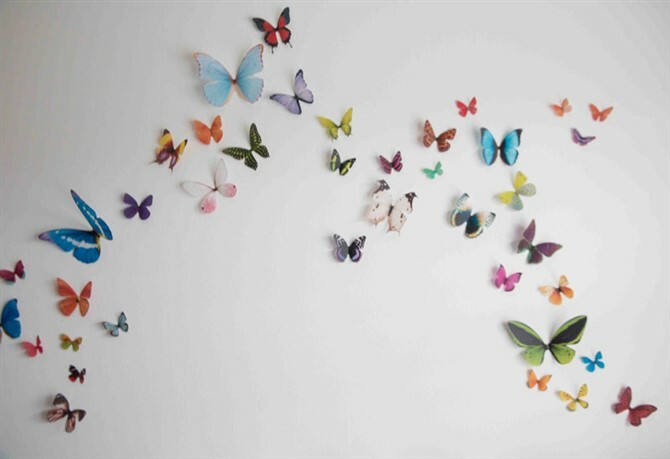 Then adapt to suit their own interests, favourite colours and personalities. That bow pillow. That smiley face pillow. That pallet laundry basket. So simple, so affordable but such high impact. Create a magical world for your child that will stimulate their imagination, make them feel safe and give them a sense of belonging. 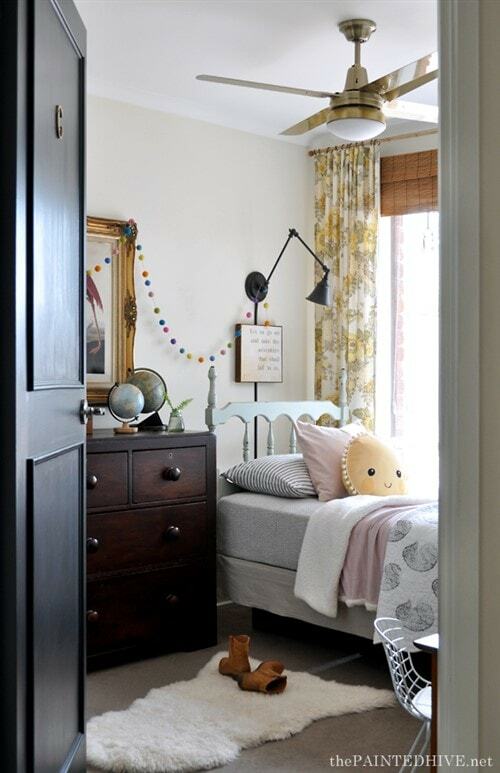 The key to creating the ideal kids bedroom is to combine function with flounce. 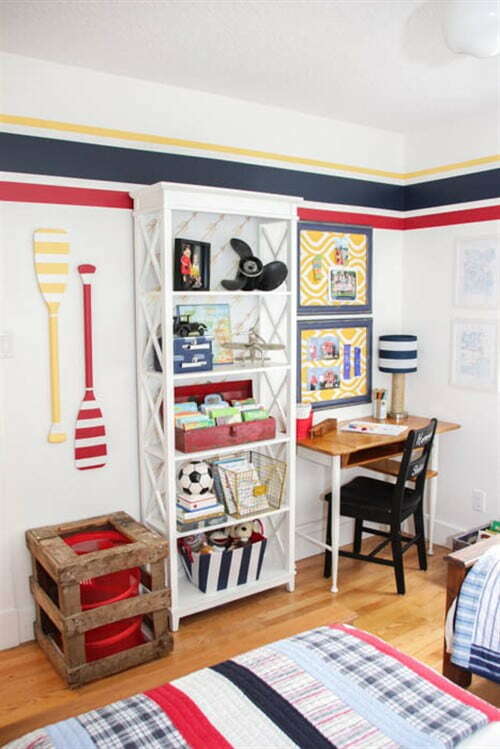 Go vintage with dark timber and neutrals, go nautical with primary colours or glam with pastels. 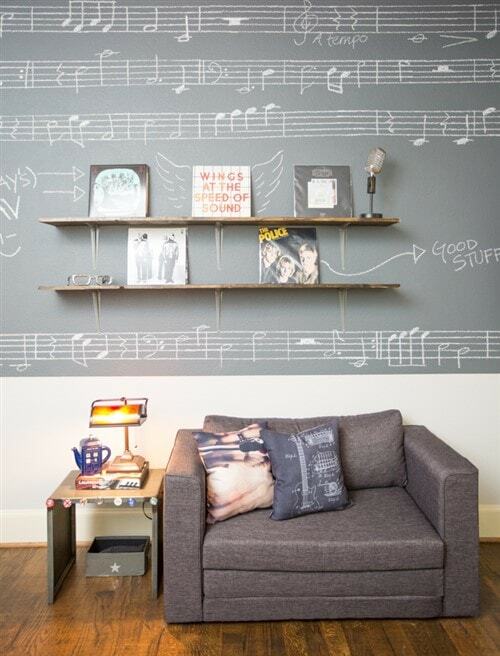 Then ensure plenty of storage and space to do homework and reading. When can you go all out ‘cute as pie’ if it’s not when there’s a new baby in the home? 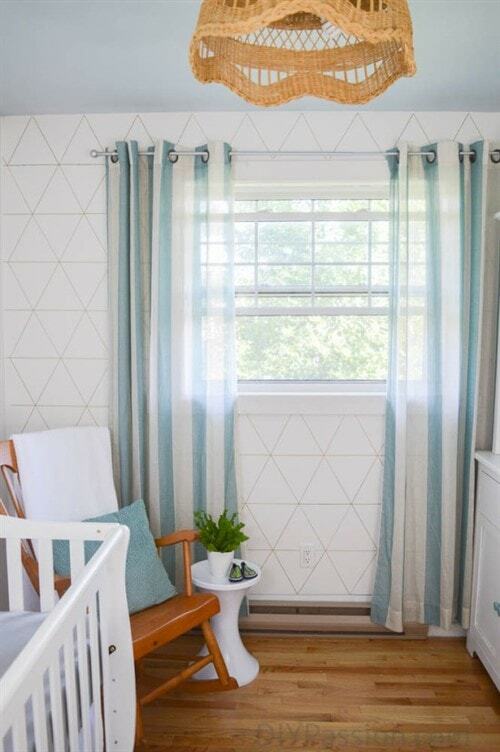 From butterflies to boho, there are so many big things you can do to liven up a baby bedroom on a small budget. Some stylings featured below are more feminine, some are more masculine and some are gender neutral. The secret to a nurturing nursery is to make sure it’s something Mum is happy to hang out in, particularly during those night time feedings. 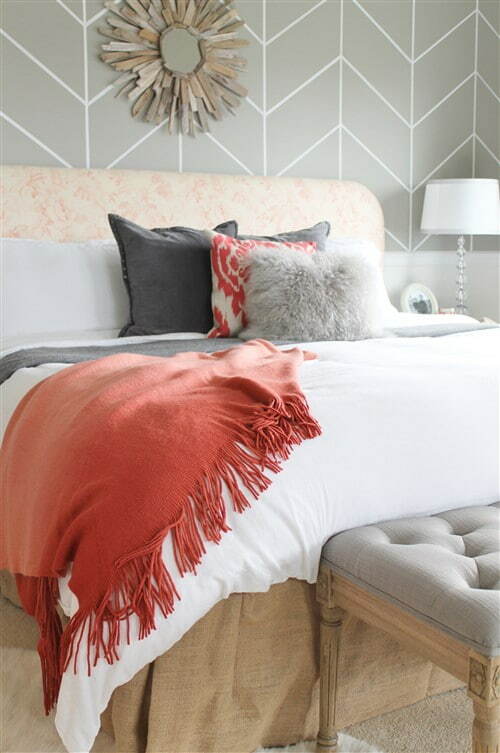 So choose finishing touches that make you calm and happy as well.